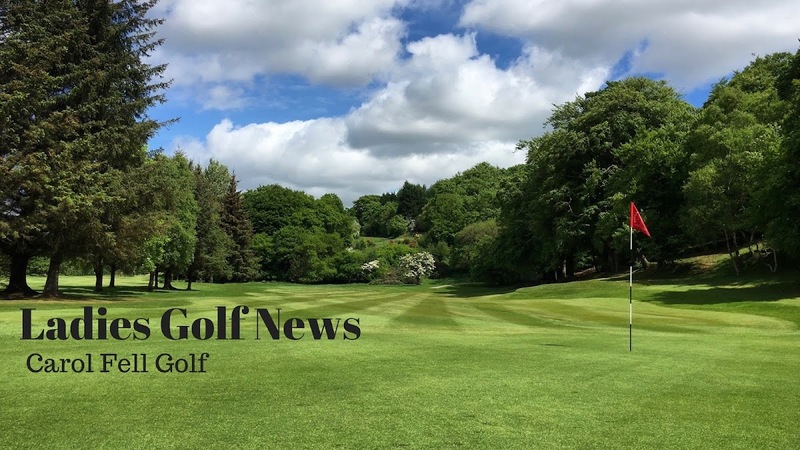 Carol Fell Golf : SHANNON MCWILLIAM IS AWARDED LIFE MEMBERSHIP OF ABOYNE GOLF CLUB. SHANNON MCWILLIAM IS AWARDED LIFE MEMBERSHIP OF ABOYNE GOLF CLUB. At the season end prizegiving ceremony held at Aboyne Golf Club on Friday evening, the club bestowed on Shannon McWilliam the prestigious award of Honorary Life Membership in recognition of her outstanding achievements in the Amateur Game. Shannon made her First full international cap in the Home Internationals in 2015 aged 16, taking 3 points from 5 matches. Further caps followed in 2016, 2017 and 2018. Shannon picked up a half point for the team, and following her narrow defeat in her singles match against the World No 6 Lauren Stephenson, I can safely say that she did not look out of place mixing it with the world’s best. Shannon, aged 18, is a former pupil at Aboyne Academy who still lives in Torphins. In her acceptance speech Shannon said "A huge thank you to Aboyne Golf for presenting me with Honorary Membership. I can’t thank the club and members enough for the support they gave me throughout the Curtis Cup and over the years. I am very proud to be an Honorary Member."